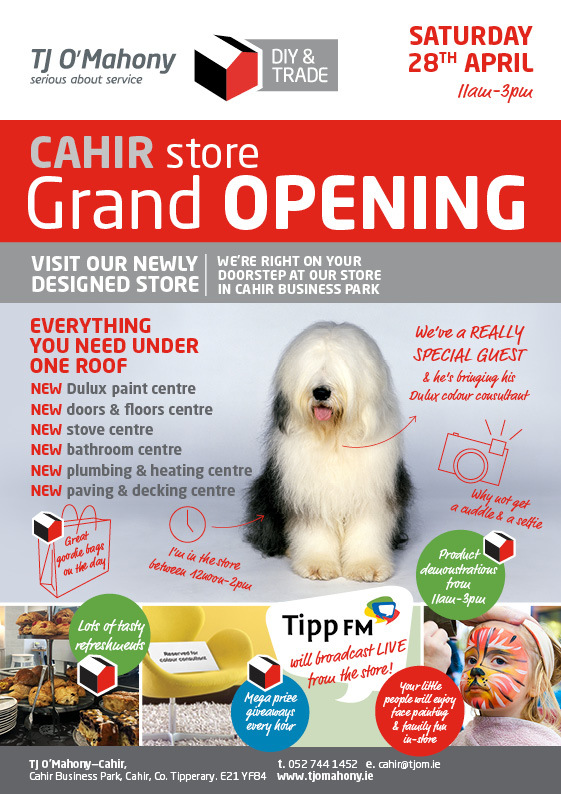 This Saturday from 11am to 3pm TJ O’Mahony’s Cahir are celebrating the GRAND OPENING of their newly designed store in Cahir Business Park. It promises to be a day packed with full of activities, with Mega Prize Giveaways on the hour. You will also have a chance to meet the Dulux Colour Consultant and get your photo taken with the Dulux Dog. There will be product demonstrations and of course refreshments and entertainment for the younger customers….